The village Tatum in Cameroon suffers every year from intense rain- and dry periods. During the dry period's harsh climate, the local water resources run short of water which has caused problems for the villagers; both children and adults are forced to walk long distances just to get water. The goal of Wacess is to implement a stable water supply on an agricultural school in Tatum, that will last during the whole year. Waccess is a continuing project from three earlier projects which have been conducted on the school with the organization Afoni Children of Hope Foundation (ACOHOF) and the relationship with the organization itself has been very stable. 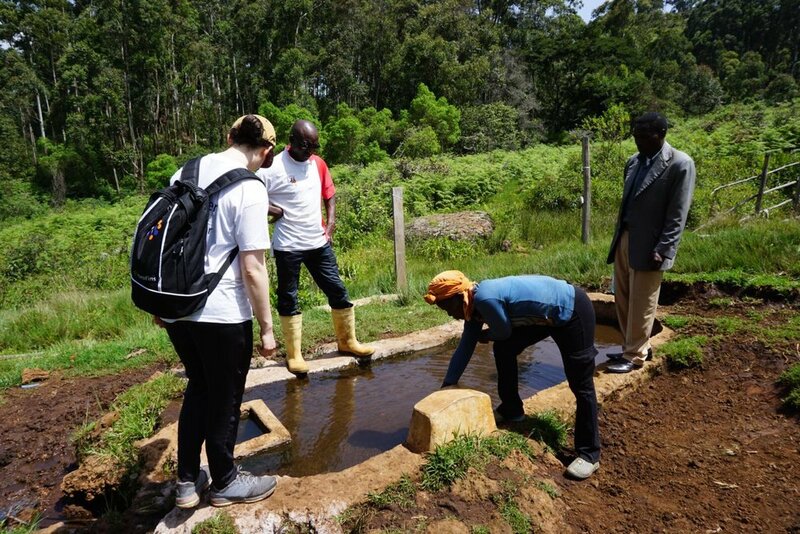 The goal of the project is to implement a rain harvesting tank which will gather the rain during the rain period and keep the liquid in a water tank. This project will, therefore, contribute to a sustainable water supply for the school; where the water should last during the whole year and be drinkable. The vision is that Waccess should be both social and materialistic sustainable. This means that the materials needed to build up the tank will be available in the local area of Tatum and that Waccess together with ACOHOF will plan and realize the project. The technical solution in combination with knowledge about cleaning and water relatable diseases are together the foundation behind the vision and hopefully will these skills spread to its surroundings. The aim is to involve as many as possible in Tatum to be a part of this project.